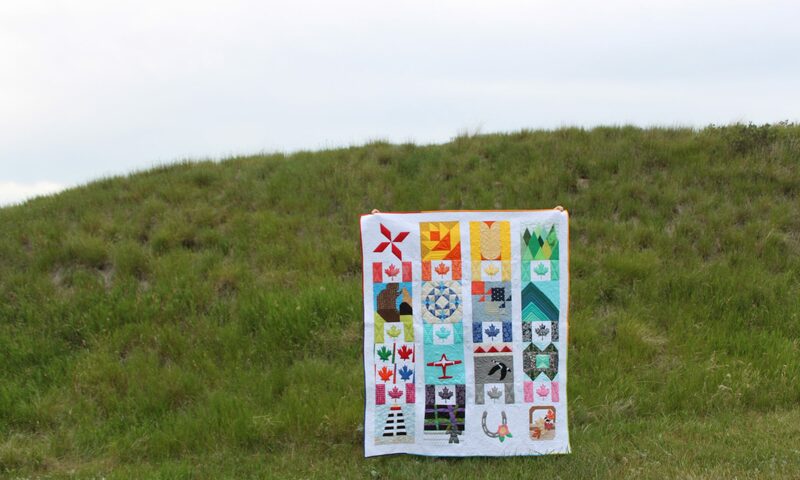 40 Prairie Sunsets – Designed, pieced and quilted by Anita LaHay of Daydreams of Quilts. What a beautiful sunset! Great transition from light to dark, congrats on a beautiful quilt and pattern! Beautiful quilt! Loved the video — SO helpful! Anita, I'm so in love w/sunsets so this pattern is perfect for me! THank you for easing my fear about the curved seams. I assume I need a template to cut those two curves? Hi Diane. I cannot find an email address for you so I hope you check back here to see this message. You do need templates which are in the pattern or if you have a Sizzix Big Shot die cutter the pattern also gives you the die numbers for the dies you can use to cut the pieces. Thank you Anita. I'm glad the template is included in the pattern. Looking thru my tools that I've bought on impulse and haven't used yet(gasp) , I found a Drunkards Path set in 3.5". Oh, well you could use that Diane. Your sunsets would be smaller so you could make a smaller quilt or make extra sunsets and adjust the size of the strips to be larger to make up for the loss lengthwise. Thank you so much Sandra! 🙂 Yes, I am an Alberta quilter. I've lived in BC and New Brunswick but always come back to Alberta. Thank you so much! 🙂 Thanks for coming by to see my quilt today. Lovely quilt! Congratulations on the new pattern. Thank you Jennifer! I came up with the idea in the first week of January and I am so happy to have it finished before the end of February. I love the colours you used in this quilt but I'm sure I would love it in blues as well. It's a wonderful finish…thanks for linking it up to TGIFF. These are beautiful colors on your sunset quilt! Adding unable – good idea! I really like this pattern, Anita 🙂 I definitely get the sunset vibe. Al of those warm colours, getting deeper as you go down the quilt – nice design. I spent many summer evenings over the past year sitting on the dock, watching the sun set over the lake. So I like Lisa's idea of adding in blues too. Curves are something that I haven't tried yet, so thanks for sharing the video too! Thank you so much Brianna! I started out trying to decide what to do with my two charm packs of Simply Colourful by V & Co. and this was the result. 🙂 You're welcome for the video! Sewing curves is not as hard as it seems.